Now available in paperback with a new afterword. An unrivaled look at the fight to save the American economy. In 2006, Ben S. Bernanke was appointed chair of the Federal Reserve. There would be little time to celebrate. The bursting of a housing bubble in 2007 exposed the hidden vulnerabilities of the global financial system, bringing it to the brink of meltdown. 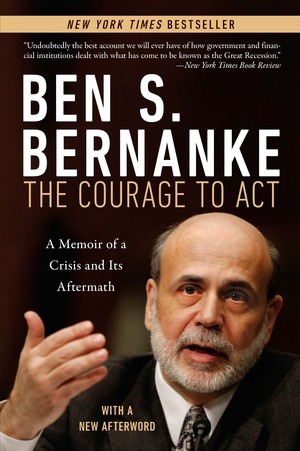 In this New York Times bestseller, now updated with a new afterword in the wake of Donald Trump’s election, Bernanke tells the inside story of how his team at the Fed fought the crisis with every tool at their disposal to prevent an economic collapse of unimaginable scale. BEN S. BERNANKE served as chairman of the Federal Reserve from 2006 to 2014. He was named Time Magazine’s Person of the Year in 2009. Prior to his career in public service, he was a professor of economics at Princeton University. The former Fed chair has a memoir, plus breaking the higher-ed monopoly and a plan to squeeze Putin. Ben S. Bernanke: The central bank did its job. What about everyone else?